Gavin has been making and teaching people how to make cheese since 2009. The Cheese Making Courses are online where you will make 9 different types of cheese as you follow along to the comprehensive lessons. If you don’t live in the area that we currently service, don’t forget that we have a comprehensive range of cheese making kits with full instructions available in the shop. The course is available at your own pace in the comfort of your own home. Cheese making is such a rewarding hobby. Not only can you make cheese in your very own kitchen from store bought milk, you also get to eat and share it with friends and family (who will be in awe of your new super power). It is fun, enjoyable, and rewarding! 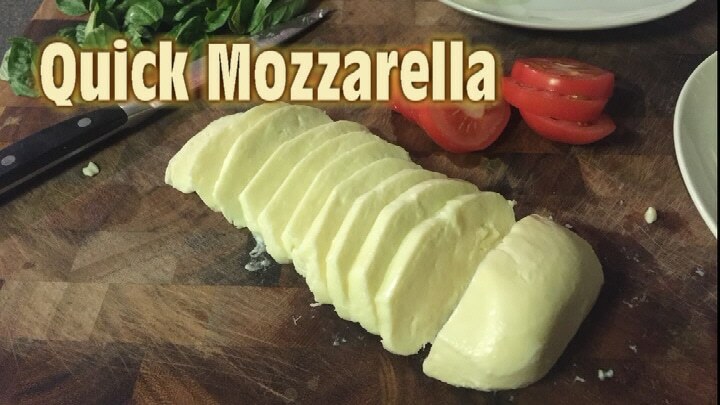 Join Gavin as he helps you cut through the confusion and where you learn the basics of cheese making all the way through to making 9 of cheeses of your own! Price: $150 or via a payment plan of $55 per month for 3 months. Thanks Gavin and Kim for our wonderful workshop today! Ann and I loved every moment. Looking forward to mastering the art of cheese making over the coming months/years. Thank you Gavin and Kim. I thoroughly enjoyed the Beginners Cheese Making Course. The cheeses we made and took home were wonderful! I am itching to make some more cheese at home now. Pip and I made the Chocolate Ricotta Tart on Sunday evening and then ravioli with ricotta, pumpkin, baby spinach and thyme on Monday evening. Very keen to attend an advanced cheese making course in 2017!! Earlier this year my wife and I did the beginners cheese making course with Gav. As two enthusiasts with some business ideas, we were not only after some basic knowledge how to make cheeses like ricotta, fetta and haloumi. We wanted to know more. More about chemical processes, aging conditions, milk quality requirements, etc. Gav provided exactly what we were after. Not only did he deliver a great course and answered all of our questions. Throughout our conversations he also provided invaluable insights into cheese making trade, detailed chemical process in cheese production and ageing processes. We can highly recommend Gav as a cheese maker guru and instructor! Live out of town. Have a Milker and would like to know more other than basic ricotta and learn about the rennet/culture. Hi Gavin. I am interested in attending one of your cheese workshop for beginners. Could you please tell me when the next work shop will be.. Sorry, I do not provide that service. Could you let me know when next Cheese making class is in? Hi Gav … is 9 th Sept sold out ? When is the next one after this please . Hi Simon, yes the Cheesemaking class on the 9th is fully booked. The next one won’t be until 2019. Sorry. Hi Gavin, are you going to be doing any courses in Sydney in 2018? Hi Milos, Unfortunately, we do not teach courses in Sydney. That’s a shame. Hopefully one day soon. Hi Gavin, will you be doing any courses in 2018 in Melb? Hi Gav! My partner and I love watching your tutorials. I am wanting to get him a one of your beginners courses for a Christmas present, will you be doing any in the new year? Thanks a bunch!! Hi Sarah, hopefully, you got my reply via YouTube! Gavin, when is the cheese making workshop? I checked your website and I couldn’t find the date. Also your schedule for the beginners/advance soap making in the 3rd and 4th term? I am scheduled to attend this Sunday, 4th June, but there’s an emergency call for me that I need to go interstate and I need to cancel my enrolment. I am still interested to continue this on the 3rd or 4th term.